On December 19, the IRS released FATCA News Issue Number 2013-16 wherein it announced the FATCA FFI List Resources and Support Information Webpage and the FATCA FFI List Frequently Asked Questions (FAQs) have been posted to the FATCA Website. 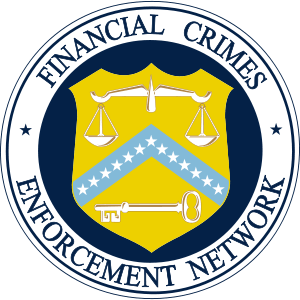 An FFI may agree to report certain information about its account holders by registering to be FATCA compliant. An FFI that has registered and that has been issued a global intermediary identification number (GIIN) will appear on a published FFI List. The FFI List can be downloaded in its entirety or searched for specific information (FI name, GIIN or country). Search results can also be downloaded. Withholding agents may rely on an FFI’s claim of FATCA status based on checking the payee’s GIIN against the published FFI List. This FFI list search and download tool is scheduled to be available beginning June 2014, and will be updated monthly. Additional information on FATCA registration is available in the FATCA Registration Overview. More details about the GIIN are available in the GIIN Composition document. Beginning in June 2014, a search tool, partial list download, and a full downloadable list will be available on IRS.gov to the public. No login or password will be required to search or download the list. The data will be refreshed on the 1st of the month and will only include FIs and branches approved 5 business days prior to the first of the month. The date of the last update to the information will be displayed on the page. Previous months lists will not be available on IRS.gov. The FFI List search and download tool can be used for looking up individual or groups of FIs and their branches to determine if they are on the list of FATCA compliant FIs. To use the search feature, at least one of the following search fields must be filled in: GIIN, Financial Institution Name, or Country. The results will be displayed on the screen and can be exported in CSV, XML or PDF formats. Search tips will be available on this site. A complete list of all FATCA compliant FIs and branches will also be available for download in CSV and XML formats. If you plan to import this file into your own database, additional information including the schema, is available on the FFI List Schema and Test Files page. On Monday December 16, the IRS issued Announcement 2014-1 reminding foreign financial institutions (FFI) that have registered via the FATCA Portal to log back in after January 1, 2014 in order to sign the FFI agreement and finalize the registration process. The IRS and Treasury anticipate that the final FFI agreement will be published prior to January 1, 2014. The latest FFI Agreement draft has been covered previously (choose the FATCA tag on the left menu to read previous analysis). Any FI submitting its registration information on or after January 1, 2014 may subsequently choose to revoke its status by revisiting its account and deleting its registration (if its GIIN has not yet been issued) or cancelling its registration (if its GIIN has already been issued). The IRS stated that final qualified intermediary (QI), withholding foreign partnership (WP), and withholding foreign trust (WT) agreements will be published in early 2014. Any FI seeking to renew its status as a QI, WP, or WT should do so during the FATCA registration process. The IRS also reminded FFIs that verification of a GIIN is not required for payments made prior to January 1, 2015 with respect to any payee that is a reporting Model 1 FI (pursuant to an intergovernmental agreement between its country and the U.S.). The IRS added that while reporting Model 1 FIs will be able to register and obtain GIINs on or after January 1, 2014, they will not need to register or obtain GIINs until on or about December 22, 2014, to ensure inclusion on the IRS FFI list by January 1, 2015. TIGTA’s FATCA Report – Is the FATCA portal development better than that of the federal medical insurance exchange? Last week on December 5, 2013 the Treasury Inspector General for Tax Administration (TIGTA) publicly released its September 27 report titled: “Foreign Account Tax Compliance Act: Improvements Are Needed To Strengthen Systems Development Controls For The Foreign Financial Institution Registration System”. TIGTA’s objective was to assess the IRS’s systems development approach for the FATCA Registration Portal. Specifically, TIGTA evaluated the IRS’s established management controls and processes over information technology program management, security control processes, testing documentation, requirements management, and fraud prevention controls. The IRS estimates that between 200,000 and 400,000 entities will register on its FATCA Online Portal. Industry groups have produced larger estimates based on by example various trust arrangements being categorized as Foreign Financial Institution (FFIs). April 25, 2014 is the deadline for registration to be included on the participating FFI (PFFI) list that will be issued in time to avoid FATCA withholding that will begin July 1, 2014. (3) withholding agents who withhold a 30 percent tax on taxpayers who fail to properly report their specified financial assets related to U.S. investments. An October 2014 industry poll of 100 financial firms, half large firms, founds that more than 55 percent rated average to poor their understanding of FATCA. The four critical challenges identified in that survey include: (1) lack regulatory requirement clarity, (2) FATCA expertise scarcity, (3) operational impact, and (4) data issues. According to the tax department of a tier 1 European bank, the signature of IGAs could reduce cost estimates to roughly US$100 million per institution covered by the respective IGA. Given the U.S.-U.K. IGA, the national cost estimate of the U.K. Revenue for impacted U.K. financial institutions is a one-off cost of approximately £900 million – £1.600 billion with an ongoing cost of £50 million – £90 million a year. In its report, TIGTA stated six recommendations for the IRS to improve system development, documentation, management, and testing. (1) The Chief Technology Officer (CTO) and the Commissioner, LB&I Division, should ensure that the FATCA Organization PMO and FATCA information technology management timely identify and communicate system changes to minimize costs and reduce waste for future information technology development projects. (2) The CTO should ensure that adequate program management controls are in place and are consistently followed to guide the future system development activities needed for the FATCA and to better position the IRS to accomplish its goals for improving the benefits of its FATCA goals and objectives. (3) The CTO should ensure that the SCA Test Plan and Developer Security Test and Evaluation Plan are prepared so that all security requirements, security controls, and test cases are identified, traced, and tested, and all security testing is performed before deployment of Drop 1 to ensure that the FRS operates as intended. (4) The CTO should ensure that all testing groups follow the recently established Internal Revenue Manual (IRM) procedures for documenting test cases for consistency in testing requirements and in detecting and correcting errors to ensure that the FRS meets all of its requirements as needed. (5) The Commissioner, LB&I Division should establish IRM procedures for all testing groups to ensure that documentation of test cases is consistent with and supports the IT Organization requirements testing process. (6) The CTO should ensure that IRM guidelines are followed so that the RTVM is established at the beginning of the testing life cycle and updated and maintained throughout the requirements management and testing processes, and that the RTVM is utilized on a regular basis to ensure that all FRS and future FATCA system requirements are included in test cases and tested. Before the first version (Release 1.0) was shelved, the IRS expended $8.6 million of a $14.4 million forecast budget over 19 months on the FATCA Registration Portal (FFI Registration System or “FRS”). The current version (Release 1.1) is in development with a final forecast price tag to roll out a working version of the FRS of $16.6 million, i.e. $2.2 million over budget. The FRS is a modern web-based application with 24/7 accessibility. Specifically, it:Ø Allows Financial Institution (FI) users to establish an online account, including the ability to choose a password and create challenge questions.Ø Displays a customized home page for FIs to manage their accounts. Ø Ensures security for all data provided on behalf of FIs. Ø Provides FIs with tools to oversee member and/or branch information. Ø Establishes a streamlined environment for FIs to register in one place. The FRS provides flexibility for FIs to report on and manage information throughout their corporate structure (branch and members). Specifically, the system:Ø Generates automatic notifications when an FI status changes.Ø Implements a universal numbering system (Global Intermediary Identification Number) that can be used by local taxing authorities. Ø Allows FIs to appoint delegates (points of contact) to perform registration tasks. Source: FRS overview presented by the IRS to the Treasury Inspector General for Tax Administration on February 21, 2013. Finally, the IRS was supposed to, has it already been five year ago now(? ), have web-based access for each taxpayer of his/her IRS tax account. Still waiting on this customer service feature… But it must also be noted that over the past five years Congress has the IRS tasked with substantial new responsibilities without additional substantial resources to accomplish them all (too bad Congress pulled the plug on the additional 1099 reporting by all taxpayers – that would have been interesting to watch the IRS cope on top of the ACA and FATCA). Billions in incorrectly paid earned income tax credit payments has certainly made the headlines, with the implication being that Congress should have the IRS fix current challenges before forcing it to initiate new ones. Maybe private enterprise would better accomplish certain tasks, or to take over certain functions – which leads to a different discussion about government / private partnerships and/or outsourcing of tax administration and collection (the Romans did that, as did feudal lords, and if I recall correctly, Bush II’s administration with regard to collections). But as a colleague shared with me today – medicare only has a 3% administrative cost whereas private enterprise runs as high as 70% administrative cost. So private enterprise may not be a cost effective solution. I look forward to discussing this topic in class…. Available at http://www.treasury.gov/tigta/auditreports/2013reports/201320118fr.pdf (accessed December 9, 2013). Financial Institutions Rate Understanding of FATCA Legislation ‘Average’ to ‘Poor’, October 9, 2013. HMRC, Tax information and Impact Note – The International Tax Compliance (United States of America) Regulations 2013, August 7, 2013, http://www.hmrc.gov.uk/fatca/itc-regs-2013.pdf (accessed November 30, 2013). The IRS will electronically post the first IRS Foreign Financial Institution (FFI) List by June 2, 2014, and will update the list on a monthly basis thereafter. To ensure inclusion in the June 2014 IRS FFI List, an FI will need to finalize its registration by April 25, 2014. FATCA requires that FFIs, through a responsible officer (a.k.a. “FATCA compliance officer”), make regular certifications to the IRS via the FATCA Portal, as well as annually disclose taxpayer and account information for U.S. persons, unless an intergovernmental agreement allows for indirect reporting to the IRS via a foreign government. On Monday, August 19 the IRS opened its new online FATCA registration system for financial institutions that need to register for compliance with the Foreign Account Tax Compliance Act. This critical FATCA milestone was supposed to open July 15; however only on July 12 the IRS issued a postponement, as well as a push back of all corresponding impacted milestones and deadlines. The IRS issued this past week the draft of the financial institution FATCA reporting form (Form 8966 – “FATCA Report”). The FATCA Report form, dated August 13, 2013 but released the following day, is for foreign financial institutions and also withholding agents to report financial information about account holders. The Financial Information part contains 7 reporting fields, being: (1) account number, (2) currency code, (3) account balance, (4) interest, (5) dividends, (6) gross proceeds/redemptions, and (7) other. The “Pooled” Reporting requires the FFI to indicate firstly which of six buckets the underlying accounts fall into, then secondly, financial information about the bucket. The reported financial information includes: (a) number of accounts, (b) aggregate payment amount, (c) aggregate account balance and (d) currency code. Note: The following is an excerpt from Chapter 19 of the LexisNexis® Guide to FATCA Compliance* – The title is now shipping to customers world-wide. Unlike Model I, the “Swiss” Model II does not establish automatic information exchange between governments. The Swiss government has thus not agreed to automatic information exchange between governmental authorities. Instead, the Swiss government has agreed that it will ensure that the Swiss financial institutions will be able to enter into an FFI agreement with the U.S. Treasury Department to directly report to the IRS (to become a “participating FFI”). In other words, the underlying mechanics of Model II are the same as under FATCA itself. The financial institutions organized under Swiss law annually report the U.S. accountholders and their U.S. beneficial owners. … As regards existing U.S. accounts (and U.S. accounts yet to be opened), the relevant financial institution is to obtain prior consent from the accountholder regarding the reporting of bank information to the IRS. In particular, there is a duty to proceed actively. Where the accountholder declines consent, the financial institution may not deliver information to the IRS. Without prior consent it would violate Swiss banking secrecy rules, which are still in effect. What is reported, however, are “nameless aggregates” and the number of accounts that, in FATCA terms, belong to the “Recalcitrant Accountholders”. This information is to form the basis of an IRS group request, through which the IRS, on request, can demandcomplete information on the Recalcitrant Accountholders.4 The group request provides the IRS, after a time lag, with the information that the financial institution would have reported according to the FATCA rules had it received consent to report (see article 2 2(c) of Model II). The question now is what legal implications FATCA will entail in Switzerland, especially with regard to the group request reporting. The group request provision in Model II will, in our prediction, be tested in Swiss courts once the first account data of Recalcitrant Accountholders are the subject of an IRS group request. As regards the legal issues concerning this group request, the following points should suffice. 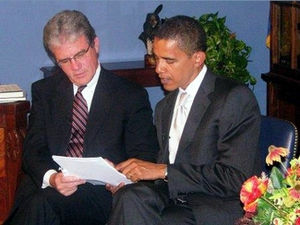 Agreement between the United States of America and Switzerland for Cooperation to Facilitate the Implementation of FATCA (February 14, 2013) (“U.S. – Switzerland IGA”) available at http://www.treasury.gov/resource-center/tax-policy/treaties/Documents/FATCA-Agreement-Switzerland-2-14-2013.pdf . Article 271 (1) of the Swiss Criminal Code. Emphasis added. Art. 4 of the U.S. – Switzerland IGA. Art. 5, Para. 1 of the U.S. – Switzerland IGA. Emphasis added. Model II also includes an exchangable phrase “may be relevant”. Article 5, para. 2 of the U.S. – Switzerland IGA. Article 6 of the U.S. – Switzerland IGA. Article 9 of the U.S. – Switzerland IGA. Annex II, Art. II, Para. A – Deemed-Compliant Financial Institutions. As the world becomes “smaller,” the dynamics of global financial transactions are intensifying. This is why the Foreign Account Tax Compliance Act (FATCA) is one of the most important awareness issues in today’s tax policy and compliance arena. As new developments emerge almost daily in this ever-changing environment, the importance of working knowledge is increasingly pronounced. The LexisNexis® Guide to FATCA Compliance, scheduled for release in May 2013, will be an invaluable resource of insight into FATCA principles, the reasons behind them, and the best practice steps financial institutions must follow in order to comply. Comprehensive coverage in this work, authored by Professor William Byrnes and Dr. Robert Munro, is complemented by content provided by highly qualified international contributors to render meaningful information about all aspects of FATCA. The impact of FATCA is far-reaching: Affected financial institutions of many descriptions must navigate complex and challenging regulations to maintain compliance. In broad terms, foreign banks, brokerages, pension funds, insurance companies and a host of other foreign businesses that disburse payments to U.S. citizens and residents are all subject to FATCA compliance. As agreements between nations are consummated and other FATCA developments unfold, the importance of awareness will only grow. The LexisNexis® Guide to FATCA Compliance was designed in consultation, via numerous interviews and meetings, with government officials, NGO staff, large financial institution compliance officers, investment fund compliance officers, and trust companies, from North and South America, Europe, South Africa, and Asia, and in consultation with contributors who are leading industry experts. The contributors hail from several countries and an offshore financial center and include attorneys, accountants, information technology engineers, and risk managers from large, medium and small firms and from large financial institutions. Thus, the challenges of the FATCA Compliance Officer are approached from several perspectives and contextual backgrounds. This edition will provide the financial enterprise’s FATCA compliance officer the tools for developing a best practices compliance strategy, starting with determining what information is needed for planning the meetings with outside FATCA experts. This 330 page Guide contains three chapters written specifically to guide a financial institution’s lead FATCA compliance officer in designing a plan of internal action within the enterprise and interaction with outside FATCA advisors with a view of best leveraging available resources and budget [see Chapters 2, 3, and 4]. This Guide includes a practical outline of the information that should be requested by, and provided to, FATCA advisors who will be working with the enterprise, and a guide to the work flow and decision processes. Click here to pre-order the LexisNexis® Guide to FATCA Compliance! Remember that only US customers can buy on the US Lexis store. The U.S. Department of the Treasury and the Internal Revenue Service (IRS) on January 17, 2013 issued comprehensive final regulations implementing the information reporting and withholding tax provisions commonly known as the Foreign Account Tax Compliance Act (FATCA). Enacted by Congress in 2010, these provisions target non-compliance by U.S. taxpayers using foreign accounts. The issuance of the final regulations marks a key step in establishing a common intergovernmental approach to combating tax evasion. These regulations provide additional certainty for financial institutions and government counterparts by finalizing the step-by-step process for U.S. account identification, information reporting, and withholding requirements for foreign financial institutions (FFIs), other foreign entities, and U.S. withholding agents.  Build on intergovernmental agreements that foster international cooperation. The Treasury Department has collaborated with foreign governments to develop and sign intergovernmental agreements that facilitate the effective and efficient implementation of FATCA by eliminating legal barriers to participation, reducing administrative burdens, and ensuring the participation of all nonexempt financial institutions in a partner jurisdiction. In order to reduce administrative burdens for financial institutions with operations in multiple jurisdictions, the final regulations coordinate the obligations for financial institutions under the regulations and the intergovernmental agreements.  Phase in the timelines for due diligence, reporting and withholding and align them with the intergovernmental agreements. The final regulations phase in over an extended transition period to provide sufficient time for financial institutions to develop necessary systems. In addition, to avoid confusion and unnecessary duplicative procedures, the final regulations align the regulatory timelines with the timelines prescribed in the intergovernmental agreements.  Expand and clarify the scope of payments not subject to withholding. To limit market disruption, reduce administrative burdens, and establish certainty, the final regulations provide relief from withholding with respect to certain grandfathered obligations and certain payments made by nonfinancial entities. (3) clarify the types of passive investment entities that must be identified and reported by financial institutions.  Clarify the compliance and verification obligations of FFIs. The final regulations provide more streamlined registration and compliance procedures for groups of financial institutions, including commonly managed investment funds, and provide additional detail regarding FFIs’ obligations to verify their compliance under FATCA. Since the proposed regulations were published on February 15, 2012, Treasury has collaborated with foreign governments to develop two alternative model intergovernmental agreements that facilitate the effective and efficient implementation of FATCA. These models serve as the basis for concluding bilateral agreements with interested jurisdictions and help implement the law in a manner that removes domestic legal impediments to compliance, secures wide-spread participation by every non-exempt financial institution in the partner jurisdiction, fulfills FATCA’s policy objectives, and further reduces burdens on FFIs located in partner jurisdictions. Seven countries have already signed or initialed these agreements. Today, Treasury announced for the first time that Norway has joined the United Kingdom, Mexico, Denmark, Ireland, Switzerland, and Spain as countries that have signed or initialed model agreements. Treasury is engaged with more than 50 countries and jurisdictions to curtail offshore tax evasion, and more signed agreements are expected to follow in the near future. On July 26, 2012, Treasury published its first model intergovernmental agreement (Model 1 IGA). Instead of reporting to the IRS directly, FFIs in jurisdictions that have signed Model 1 IGAs report the information about U.S. accounts required by FACTA to their respective governments who then exchange this information with the IRS. Treasury also developed a second model intergovernmental agreement (Model 2 IGA) published on November 14, 2012. A partner jurisdiction signing an agreement based on the Model 2 IGA agrees to direct its FFIs to register with the IRS and report the information about U.S. accounts required by FATCA directly to the IRS.  Withhold a 30 percent tax on certain U.S.-connected payments to non-participating FFIs and account holders who are unwilling to provide the required information. Registration will take place through an online system. FFIs that do not register and enter into an agreement with the IRS will be subject to withholding on certain types of payments relating to U.S. investments. The SEC recently considered a proposal that would prohibit incentive-based compensation practices that may encourage inappropriate risk. The proposal arises from Section 956 of the Dodd-Frank Act, which requires the SEC along with six other financial regulators to jointly adopt regulations or guidelines governing the incentive-based compensation arrangements of certain financial institutions. These institutions include broker-dealers and investment advisers with $1 billion or more of assets. According the FCIC report, in the late 90s, AIG leveraged its superior credit rating—its “most valuable asset”—to branch out beyond standard insurance products and become a major over-the-counter derivatives dealer. Through its subsidiary AIG Financial Products, AIG eventually amassed a derivatives portfolio with $2.7 trillion in notional value. A significant portion of AIG’s derivatives business was devoted to credit default swaps (CDS’s) that “insured” debt held by financial firms and institutional investors. A CDS is a contract under which the party writing the CDS agrees to reimburse the party purchasing protection if there is a default on the underlying debt. In exchange, the party purchasing protection makes a series of payments to the issuer of the CDS—essentially premium payments. AIG’s credit protection business grew rapidly, swelling from $20 billion in 2002 to $211 billion in 2005 and $533 billion in 2007. Although insurance policies and CDS’s are similar, crucial differences between the two played a critical role in the crisis. An insurance company is obligated to set aside reserves to balance against potential losses; but a credit default swap, not being an insurance policy, is not subject to a reserve requirement. As a result, AIG was not required to put up collateral when it issued hundreds of billions in CDS’s. What the company did do, however, was promise to post collateral if its credit rating was downgraded. Read the entire analysis by linking to AdvisorFX ! Sing up for the no obligation free trial – with full access to Advanced Underwriting Service, the Presentation Aids, Soft Skill Tools, Calculators, and Daily Journal. This week’s blogticles discussed compliance reporting generally regarding foreign transactions and activities. Today, we will continue to explore some of the common reporting requirements that are filed based on domestic and international activity.